You just remember what your old pal said…. Like everyone else (and that’s not hyperbole), I’ve experienced pain. After my first day at my first ever job, my shin splints made me unable to move my legs. When I was a kid, my heart sunk when my mother read some mean words I wrote about her in my journal. Continuous strep throat crippled me for months of my fifth-grade education. Pain has this remarkable ability to make us react to the world around us. However, pain is often not something felt individually. Rather, it’s shared. Shared between random people or the closest of family members. Kiznaiver depicts pain shared between friends – and what such sharing not only brings but means. 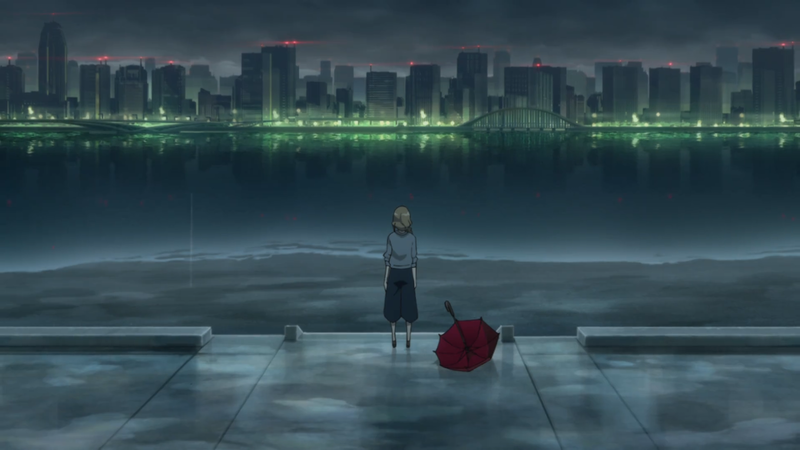 The anime begins with an ominous flashback – of a child presumably killing herself. When it returns to the present, Agata, Chidori, Tenga, Nico, Yuta, and Maki find themselves at the mercy of Nori. A girl who ties them all together through the Kizna System. As a result, these six (eventually seven) ordinary high-school teenagers each become a Kiznaiver. 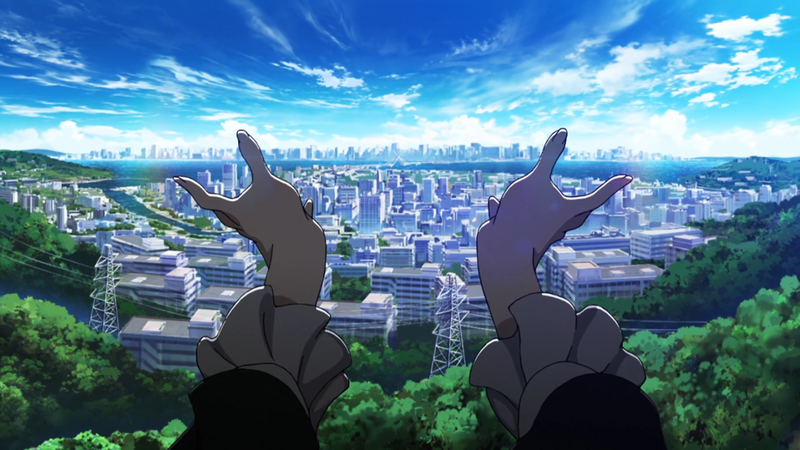 To be upfront from the beginning, Kiznaiver is not perfect. No story ever really is, but that’s a discussion for another day. So, for now, it is best to start with the show’s narrative problems. The most obvious issue the anime deals with is an overreliance on heavy drama. Exaggerated is another way to describe it. A scene like Maki screaming for her life in the middle of the day as a group of documentary filmmakers hound her means well (on a character and story level). But it lingers too long. Arguably, the premise itself invites this heavier drama. Literally connecting people through both physical and emotional pain makes these more out-there dramatic scenarios not so crazy. Still, Chidori crying and ranting for an extended period can start to get overbearing rather than emotional. Kiznaiver also has trouble with some of its exposition. Namely, Nori’s background. Hisomu, Agata, and Nico (as well as the audience) get a big info-dump about what happened in the past near the end of the season. Arguably, it was all mysterious, so it had to happen later. But the delivery wasn’t exactly interesting. The premise itself can also seem hindered when, except for the first major mission, the Kizna system feels underutilized. Not much variety or intrigue is added to their predicaments beyond just putting them all together and seeing what happens. The show may even have an issue on a world-building front. This interesting city does not see much action or exploration beyond the Gomorin workers and that one bridge. But this detail (and perhaps the others) may be knit picking because, after all, the anime is not about the world let alone the city. Indeed, it’s about these eight (including Nori) group of kids. Their journey begins where almost all other stories about friendship start: as strangers. Some are timid, some are uncaring, some are trying to be acquaintances. The building exploding around them obviously adds tension and a fire under their butts, but this high-stakes ice breaker pushes them past that initial, awkward state and down the right path. Said path is filled with many events that bring them closer together. 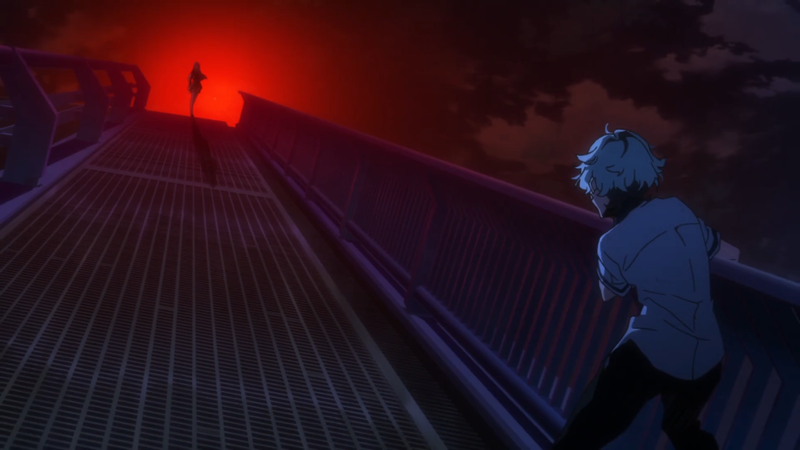 Chasing after a rogue Kiznaiver. Hanging out at a getaway lodge. Taking their picture in a crammed photo booth. 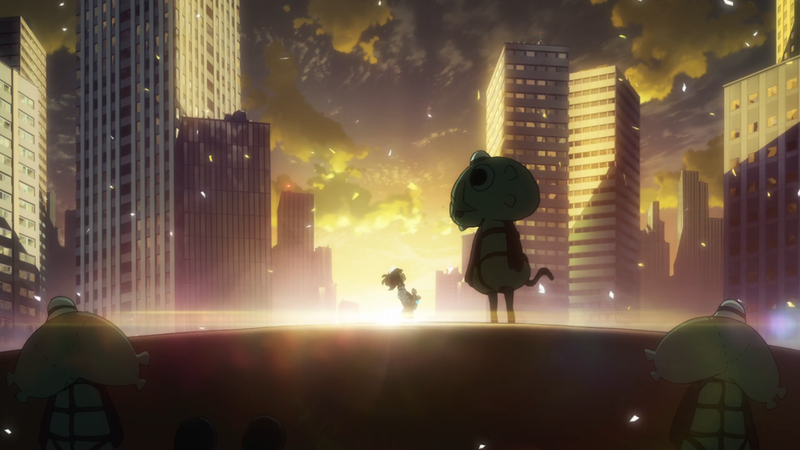 Simultaneously, through their pain-sharing connection, the anime starts to explore its theme on friendship. They can no longer only think about their sinful selves. Instead, they must think about each other, about how the other feels when they hit their head or fall to the ground. To them, friendship is some ways off, but the anime argues (at this point) that a physical connection is what can get them there. As they do more with one another and start acting on their thoughts, the show transitions. In their hearts and in their souls, new bonds form. They argue. Feelings surface. Relationships break apart. In this way, the anime starts to question its original idea. That maybe it’s not a physical connection that binds friends together – but an emotional one. Yet one of its smartest writing moves comes after their literal mind-reading climax: The show chooses to end their Kiznaiver status. Rather than carry it through to the end of the season (the perhaps expected routed), the anime has them all return to their normal selves. Of course, they are in a worse state than they had been at the start. But this, once again, demonstrates the anime’s thematic exploration. For, now, it’s both the physical and the emotional that drives them towards one another. Holding hands and dancing around in the hallway. Empathy in regards to rejection. Concern and worry that aches their hearts for their dear friend. But it’s the last scene that demonstrates how thoughtful Kiznaiver is. Poetically enough, it’s on that bridge, now a metaphor for bridging the gap between each other. As Nori stands above the others, she wonders what it is that makes people friends, the same question that the show and the audience has been pondering this entire time. Who else but Maki steps up. She declares that they are all disparate and different from one another. That it doesn’t make any sense that they could or even should be buddies. But it’s precisely because they don’t understand each other that makes them friends. For that spurs them to understand. To communicate and to care and to connect. That is, it’s not a physical bond or an emotional chain that makes them friends – it’s understanding those two connections that does. So, sure, the anime’s overly heavy drama, the sometimes-awkward exposition, and even the Kizna system itself aren’t exactly positives. But its thoughts on friendships and connections, empathy and understanding, turn it into a story that is meaningful in direction and powerful in purpose. Kiznaiver’s visuals continue to prove the show’s strength. Especially the art. The backgrounds are very realistic, detailed in their depictions. Parks filled with trees. Apartments decked out in accessories. Dilapidated buildings coarse with cracks. However, the lighting elevates the prettiness of everything ten-fold. Sunlight cascades on far-open skies. Shadows dance on their faces during a stormy night. Red warning lights and blue computer screens add variety. Together, the lighting and the realism turn Kiznaiver into a powerhouse of artistry. Not to be outdone, the character designs are likewise strong. All of them are colorful. Purple, teal, and orange, mixed with reds, whites, and brown, add to their flair. Different accessories, like charms, glasses, and wrappings, give them personality. And each has their own look. Tenga is tall, a bit burly, and tough. Nico seems as if she came straight out of a circus act. Maki’s plain outfit contrasts well with everyone else and gives her an air of maturity. Going back to the colors, such symbolism is always worth noting since it highlights parts of the characters. Agata’s all-white hair and clothes represent how dilute he has become emotionally. Chidori’s red-centric design coincides with her optimistic attitude. And Hisomu’s lavender look evokes a sense of delicacy that fits his masochistic self. As for the actual animation, Kiznaiver does well here too. Early on, segments like the camera panning through the group as the Kizna system comes online demonstrates this sentiment well enough. That’s a more extreme case. But, even throughout the season, the characters are constantly running around, taking actions like jumping off bridges into traffic or attacking one another, and reacting in over-the-top fashion (especially Nico). 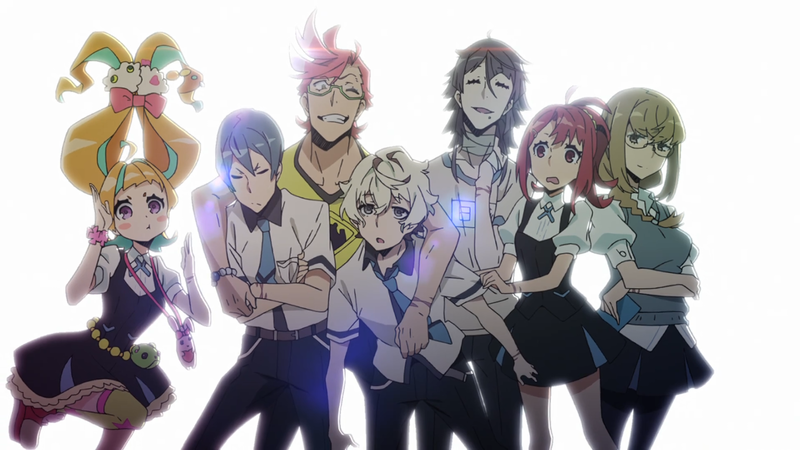 Kiznaiver focuses on eight specific characters (listed approximately in order of appearance): Agata, Chidori, Tenga, Nico, Yuta, Maki, Nori, and Hisomu. Now, given the logistics, that there are only twelve episodes to investigate them all, it’s impossible for the anime to flesh them all out completely. Even so, the anime has trouble in this category. In terms of strong and weak, the cast is split down the middle. On the positive side sit Maki, Chidori, Nico, and Agata. On the negative side sit Nori, Yuta, Tenga, and Hisomu. There’s almost no question that Maki is the best character the anime offers. In the beginning, she is standoffish, unwilling to cooperate with the others let alone try to befriend them. Coupled with her declaration that she “killed” someone, it puts her in a prime position to develop over the course of the season. And at that she does. While she continues to push back against the others, either by intimidating Yuta or giving the cold shoulder to Nico, her dark past comes to light. As one-half to the famous “Charles de Macking,” she and her best friend Ruru collaborated on a manga that became incredibly popular with the middle-school crowd. Unfortunately, Ruru’s feelings for Maki were ones that Maki did not want to respond to. When Ruru passed away from a fatal disease she always had, Maki blamed herself for shutting her friend away during her most dire time. But once she reads the final chapter of their manga, and she sees that the others are willing to (literally and figuratively) dive headfirst for her, she lightens up and finally becomes their friends. When they all go through their downward slump, Maki seems to go back to her former self, too. But, as her police-speaker speech reveals, she views them as her friends after all that has happened, signifying how far she has come. If nothing else, her having a romantic relationship with Yuta proves that she is not the same person that she was before. Chidori’s development isn’t as pronounced, but it is easily the harshest. While it is infuriating to see her continually try and fail to connect with Agata on a level beyond just friends, her role of disrupting the relationships (through the multi-love-interest angle that ensues) helps everyone involved. Including Chidori. For, taking part in the experiment, speaking her mind, and ultimately accepting her loss to Nori, she grows up and takes the first steps towards moving on. Nico manages to take a top-spot character-wise as well. But why? Compared to most of the characters (and what some of the lesser ones suffer from), not much is known about her besides her eccentricity and that she does not, in fact, see fairies. What she lacks in foundation, though, she makes up for (coincidentally enough) in spirit. She believes that “Friends are soy sauce! The omnipotent seasoning! Much better than sugar or salt!” Her affable personality, with her constant cheeriness and happiness, makes her an advocate of the anime’s main themes on friendship and understanding. That is, she views the others as her closest friends for no tangible reason other than they just are – and that’s perfectly okay. 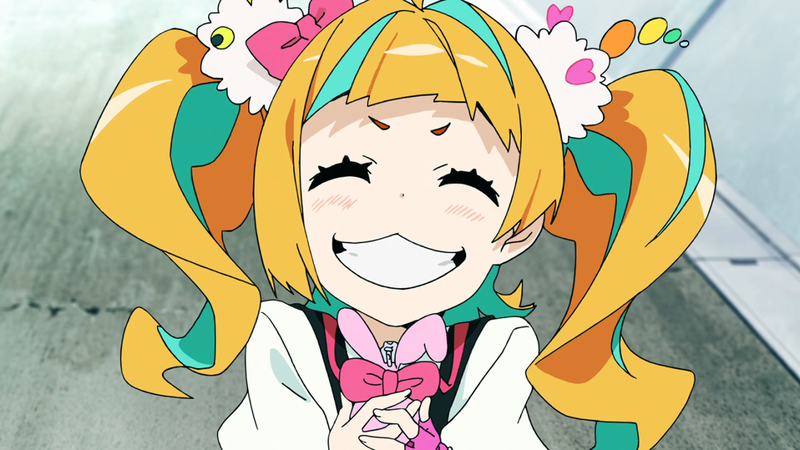 Agata is arguably the main protagonist of Kiznaiver. As an emotionless husk (which is just describing him and not putting him down), he feels no pain. At all. On both a physical and emotional level, he just exists as this guy who goes through life not really knowing who he is. Most of his time is spent thinking. He does his best to think about the other characters, the situation he is in, and, most importantly, himself. Meaning, for the most part, he does not actually have much of an impact on the events at hand. That said, his connection with Nori and being one of the original Kiznaivers gives him some clout as a character. Not a lot and not surprising, but it is cool to see this twist with him later in the season. At the very least, his emotional cry when meeting his friends from the past and his words towards Nori as he attempts to save her near the end of the series demonstrate, however slightly, his change as a person. Again, Agata’s change is nothing spectacular. It may even be considered too small to outweigh his overall low impact. But unlike Maki who starts at the bottom, and unlike Nico who starts at the top, Agata starts in the middle. Neither mean nor nice, neither not-friends nor friends. So, his miniscule step forward is, for him, something positive. Those four – Maki, Chidori, Nico, and Agata – are the strongest characters in the show. On the opposite end are the other four: Nori, Yuta, Tenga, and Hisomu. Nori is purposefully surrounded in mystery very early on. Her words on connections and her general air of mystique make it difficult to comprehend what it is she exactly wants. Furthermore, she’s not often around. While the other seven cooperate, she is understandably controlling events on the side. Sadly, this pigeonholing leads to a lack of focus on her character. It’s obvious that she knew Agata or, at the minimum, was related to him in some form. But the anime’s rushed attempts at providing her some backstory or trying to explain away the pain she has sealed away leave her character in a confusing, messy state. As for the other three, they simply follow in Nori’s footsteps but to a much greater degree. In other words, the anime does not have much of a place for them in the story let alone for them individually. Yuta hardly receives any time for himself, and, even when he is involved, it’s either for the brunt of a joke or all the attention goes to Maki. He at least moves away from his arrogant-jerk status, so it’s not as if he fails as a character. Tenga is a cool guy, protecting Agata and looking after Chidori. But, beyond his crush on Chidori and being the only one capable of taking on their adversaries, the show doesn’t spend much time on him. Hisomu has it the worst, though. After his recruitment episode near the beginning of the season, he does not do or say much outside of loving pain. But perhaps the biggest fault with the cast is not on an individual scale. Some of the characters have clear relationships. Agata and Chidori, Maki and Yuta. Yet a lot of them don’t. How many times does Hisomu interact with the others? Do Yuta and Nico have any memorable moments together? What about Chidori and Maki? Nori and anybody else besides Agata? Another way to put it, the anime does not do enough to bolster their group dynamic. The story’s themes on friendship and understanding are clearly there. But, when they themselves are not equalized in their relationships, it almost goes against the show’s own ideas. One last note. The characters and their “sins.” Nori describes each of them with a sin in mind – sloth, greed, etc. – but the anime does not fully explore this idea. A mistake, given how much emphasis it gained near the beginning of the story. Without a doubt, Kiznaiver’s strongest musical component is its opening track. In all honesty, it’s not very involved. Possibly nearing repetition. But that simplicity gives it strength. The triumphant tone, the “lay your hands on me” lyric, and the feeling of friendship permeate the piece. It’s both fun and fitting – a winning combination. Voice acting comes next. Everyone involved with the project does well in their respective roles, especially Misaki Kuno as Nico, Yuka Terasaki as Chidori, and Tomoaki Maeno as Tenga. Nico’s high-pitched voice, Chidori’s emotional range, and Tenga’s upbeat attitude were only possible thanks to the VAs’ strong performances. The original soundtrack does not have anything outside of the standard offerings. Funky, techno beats for the slice-of-life events and melancholic, violin ensembles for the dramatic ones. Not that it’s used with poor timing or anything similarly negative, but the OST does not stand out in any notable or positive fashion either. Finally, the Kizna-system sound-effect. The electric, computerized sound that played whenever the group shared their pain always sounded like it hurt. Many know that I am big on themes. I believe that a story with a message to convey is stronger than one without. Because stories don’t just exist to entertain us; they exist to let ourselves grow. For this reason, I liked the show. Its focus on friendship and connecting made me laugh, it made me emotional, and it meant a lot. I used to hang out with my own best friends all the time in elementary school. I once talked about them in another review; we were called the “Five Musketeers” because that’s how close we were. So, it wasn’t just cool to see this ragtag bunch of kids become friends. It was meaningful and relatable. Which is part of the reason why I am not a fan of her (future or implied) pairing with Tenga. I like them individually. Chidori is a kindhearted girl, and Tenga is a noble dude. But, given all the events against her and how he became essentially the rebound, it didn’t sit well with me for a few days after completing the show. Same idea applies for Agata and Nori. It makes sense that they would end up together (once again on a character and story level), but it just doesn’t feel right that he chooses this girl he forgot about for years and years and years while he tosses aside Chidori who always tried to be there for him. Romance is king in my eyes, so these two outcomes are bone breakers for me. Especially Chidori’s treatment. However, I was still a fan of two other major parts of the show. The first is (perhaps obviously) the romance between Yuta and Maki. Watching them quarrel early on, Maki “breaking” over him at the getaway lodge, and Yuta running into the ocean at her behest made for some nice moments between them. But it was her last line about him eating fattier foods that sealed the deal: “Then I won’t have to worry about pests flocking to you.” Man, that line was good. It had me grinning big, and it made it clear that their relationship would thrive in the future. The second is my favorite character in the whole show: Nico. Yes, she was hyper, kooky, and cute. But, above these more superficial traits, what struck me the most was her attitude. In a way, she reminded me of myself. I like to think everybody is my friend (unless you are a real jerk to me or others) no matter if we just met or if we’ve known each other forever. Nico is the same. Her high value of friendship, her willingness to be there for others because that’s what friends do, was a sweet treat to say the least. Kiznaiver muscles through the pain to deliver a show filled with execution. The story’s themes on bonds, the strong artistry, and that simple yet wicked OP are medicine for the body and the mind. A handful of bumps, like the unnecessarily heavy drama and some unexplored characters, sting. Yet it beats shin splints, mean words, and strep throat without question. Great review. I probably gave this show a higher score than I should have. I didn’t really like half of the characters, but I found Nori and Honoka’s stories to be the ones that lured me back in each episode. > …Honoka’s stories to be the ones that lured me back in each episode. While I wasn’t a huge fan of Nori’s character, we definitely agree on Honoka. Thanks for commenting, ceb. I hope to see you around here and at the other spots I post to soon!! !